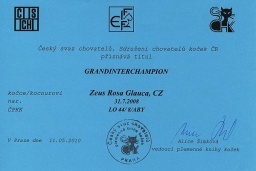 Zeus is a Grand Interchampion. This weekend he participated in 19th international cat show FIFe in Ostrov. 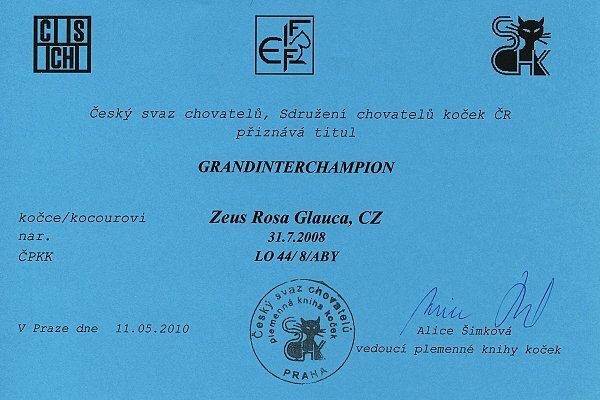 IC Zeus obtained eighth certificate CAGCIB and with this he became a Grand interchampion and he was chosen to nomination BIS.